Publicis Groupe has reached an agreement to buy digital specialist LBi for €416m (£333m) in a deal that has "unanimous support" from the management board of LBi. LBi is one of the few large remaining independent digital communications agencies that had also attracted interest from Omnicom Group. Headquartered and listed in Amsterdam, LBi currently employs approximately 2,200 people in 16 countries (of which 630 are based in the UK) and has 32 offices around the world. In 2011, LBi reported net revenue of €196.6 million, up 12.0% from 2010, and an adjusted EBITDA3 of €31.9 million, a margin of 16.2%. In the first half of 2012, LBi posted a net revenue of €119.4 million, up 18.2% from the equivalent period in 2011 on an organic basis, and an adjusted EBITDA of €19.9 million, a margin of 16.7%. The agency is known to have been on the block since the start of this summer,and had been in talks with Omnicom. The US agency is rumoured to have found LBi's valuation too high, seeing as much of its footprint is in Europe, where economic conditions remain sluggish, and because the agency's development has been partly achieved through acquisitions as opposed to organic growth. However, LBi's portfolio includes a broad range of leading global clients, including Lloyds TSB, Volvo, Johnson & Johnson, Coca Cola, Carlsberg and Ikea. Founded in 1987, it has been led by chief executive Luke Taylor since January 2008. 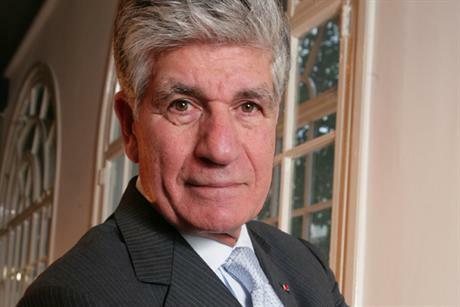 Last year at the e-G8 summit, Maurice Levy, chairman and chief executive of France's Publicis Groupe, reiterated his belief in the importance of transforming the business into a digitally literate one, able to face the challenges of a new era. He said: "Digital is the name of th game tomorrow." In a statement today (20 September), Levy said: "The acquisition of LBi is another step forward in further strengthening our digital operations. "Within the global advertising landscape, LBi is a well-known partner for extraordinary digital customer experiences, based on a blend of creativity and expertise in technology, strategy and social media. "The integration of LBi will further enhance our capabilities and, through a wider pool of resources and talent, help deliver innovative and best-in-class services to our clients, which is our relentless focus." Today's deal by Publicis Groupe follows rival WPP Group acquiring an 80% stake in digital agency AKQA for $540m (£348m) in June. Taylor, chief executive of LBi, said in a statement. "We are thrilled at the prospect of joining Publicis Groupe and are convinced this transaction not only provides highly attractive value to our shareholders, but equally to our clients, staff and partners. "Publicis Groupe has consistently demonstrated a clear and emphatic belief in the importance of digital media and is recognized for grooming and managing its talent worldwide. Our entire strategy to date is built on a commitment to relentlessly drive and optimize value for our clients. "There is now a unique opportunity to pace set the market and collaborate across new geographies and marketing services so that we can accelerate our strategic plans aimed at providing clients with a globally integrated offering." The deal marks the latest digital acquisition by Publicis Groupe, which acquired digital specialists Rosetta for $575m in May 2011, Razorfish for $530m in August 2009, and Digitas for $1.3bn in December 2006. The £333m agreement with LBi remains subject to regulatory approval and can be terminated if LBi receives a better offer before closing, in which case Publicis would have a chance to match.